Every house has a story to tell. Knowledgeable guides will be at each Historic Home location to enhance your tour experience. The best stories have a happy ending and this one is no exception. While you enjoy a leisurely day touring the finest historic homes in Tredyffrin Township, you’ll have the pleasure of knowing that you helped in rebuilding and restoring the Jones Log Barn in Chesterbrook through this Annual Trust Fund Raiser. The Jones Log Barn is planned to serve as a Regional Education History Center. 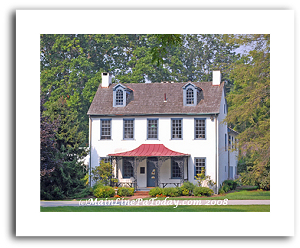 Sponsorship – $250.00 to become an Annual Historic House Tour Sponsor. Sponsorship Benefits: listed in the Tour Brochure/receive 2 Tickets/listing on the Tredyffrin Historic Preservation Trust Website/display THPT Logo on your Website/acknowledgment on ALL event press releases/share the pride of community support for yourself, your family or business. Pre-paid Tickets In Advance Only – $35.00. Tickets must be purchased in advance and will not be sold at the door. 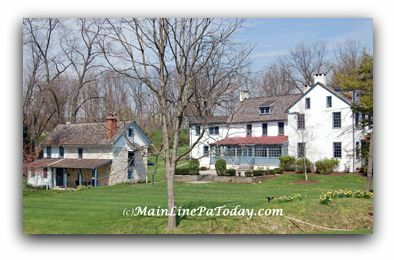 Saturday 9/20/08 12 Noon – 1pm you can pick-up Prepaid tickets, Tour Badge, Brochure with History, Pictures and House Tour addresses Saturday at Duportail House, 297 Adams Drive (off of Chesterbrook Blvd). Sorry, no children under age 10, flat heel shoes for tour please. Contact or call Judy Peterson, 610-889-5509 anytime with ALL of your real estate questions and real estate needs in Tredyffrin Township Main Line Chester County Pa. I’ll give you special service. 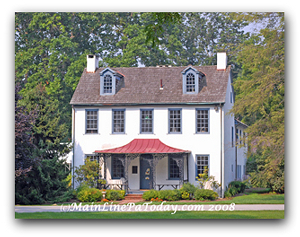 This entry was posted on Wednesday, July 30th, 2008 at 7:57 am	and is filed under Chester County, Fun Things To Do, Lifestyle. You can follow any responses to this entry through the RSS 2.0 feed. You can leave a response, or trackback from your own site.